You’re in recovery if . . .
There’s a lot of discussion about how to define recovery. Some expand the definition without acknowledging that they are doing it, for the purpose of recovery advocacy. Others more openly advocate to “reclaim” the word and expand the definition to include people who matured out, use moderately or abstain from one previously problematic substance. I’ve got a few problems with this. Whatever the intent, the former look like fudging the numbers to increase their impact and invites skepticism about recovery advocacy efforts. It also invites argument about the nature of recovery and, therefore, addiction. Whatever the intent, the latter would end up being a backdoor way to redefine addiction. A big part of the problem is the lack of diagnostic criteria for addiction and the erroneous assumption that dependence and addiction are the same thing. They are not the same thing. Addiction and recovery are, and should be, conceptually linked. Dependence and recovery often are, but probably should not be, conceptually linked. Both of these approaches include people who don’t call themselves “recovering”, don’t want to call themselves “recovering”, don’t think of themselves as “recovering”, don’t even identify with the concept and don’t identify with any communities of recovery. I understand that recovery researchers have to create some conceptual boundaries to study recovery. (Fortunately, some research is actually seeking the opinions of people who identify as being in recovery.) That’s fine and good, but what’s up with making decisions about the identity of people who aren’t even asking to be considered “recovering”? What do they want? How do they feel about being used in someone else’s agenda (however well-intentioned). There’s something about that that is troubling to me. 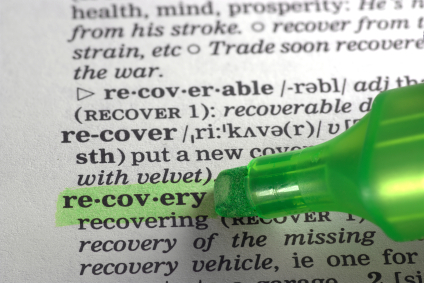 There’s no perfect definition of recovery. I’m not sure there needs to be. Academics will do what they must, but for the rest, maybe Connecticut Community for Addiction Recovery can help us out. One of their guiding principles is this: You are in recovery when you say you are. Maybe that’s the safest and easiest way to go. Comments Off on You’re in recovery if . . .